Synthox now includes a deep sampling of the rare Elka EK-44 FM synthesizer, an expanded patch library, and dramatically faster load-times. 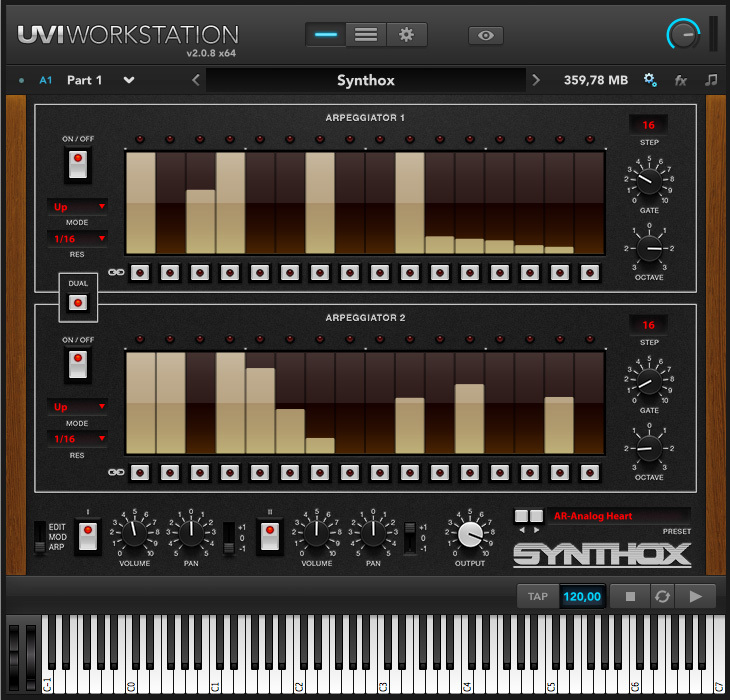 Synthox 1.5 provides many easy-to-use modulation options via two arpeggiators (one per- layer), an LFO and a step modulator. Take full control over both layers waveshape, amplitude and filter envelopes as well as pitch, stereo and filter sections and a fast modwheel assignment system for versatile sound design and performance capabilities. 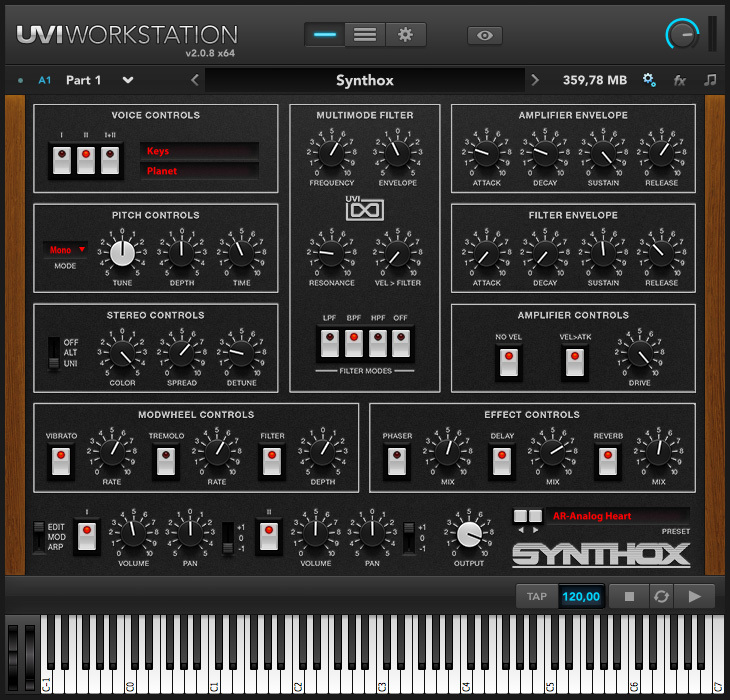 A widely regarded and increasingly rare analog synthesizer, the Synthex (1981-1985), comes from Italian manufacturer Elka and was made famous in part by Jean Michel Jarre. The unique oscillator design and lush filters in this synth pack a distinctly thick and raw sound. As these machines become older finding working units has become increasingly difficult. 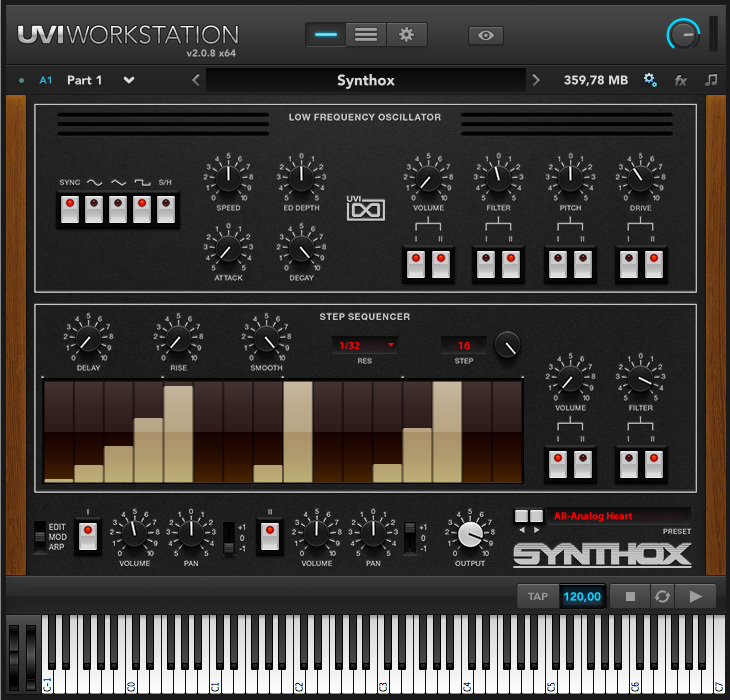 Now, Synthox 1.5 brings you the very best of this instrument in a convenient and extraordinary sounding soft-synth. Also included in Synthox 1.5 is a deep sampling of the Elka EK-44 (1986). A rare 4- operator FM synth based around Yamaha’s YM2203 chips, the EK-44’s raw digital sound palette makes a brilliant counterpoint to the Synthex and can lead to some truly unique sounds. 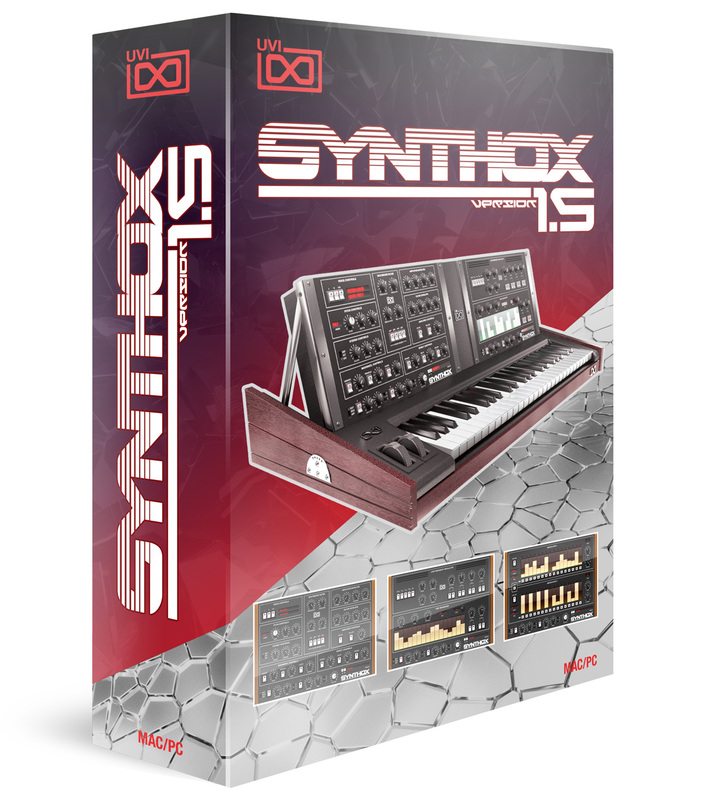 From thick and sizzling textures to funky analog tones, digital bells and everywhere in- between, Synthox 1.5 is a fantastic instrument for those looking to draw on the classic 80’s sound of Elka.